After release of the RTM software tools for WP7 I was pleased to see the looping controls manifested as DatePicker and TimePicker since I was considering creating similar…These are built on top of the LoopingSelector control which has the usual support for ItemTemplates and data binding. resulting in a pretty cool and flexible spin box-like control. I have been trying to replicate something like this unsuccessfully. Can you post the code or explain in more detail how to set it up?? How do you get the currently selected value in c#? 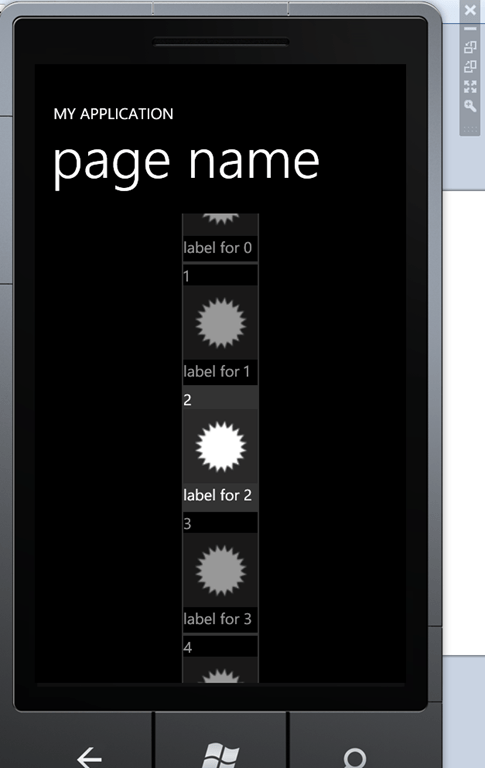 I’ve enabled the application bar on a page with these on and the bottom of the spinner is being cut off. Why is that? Hi, Can you tell me, is it possible to create an event on SelectionChanged (similar to listbox?). I want to store value of setting in LoopSelector, and after user changes it – save to isolated storage. How can I fire that thing?